Happy Summer lovely peeps! And I can actually say that because after what proved to be a rather damp and cold summer of 2015 which was followed by a rather damp and cold autumn and and a rather damp cold winter here in the North West of the UK (sensing a pattern? ), it actually FEELS LIKE SUMMER OUT. Can I get a hell yeah?! It’s been sunny and warm the last month or so and we’ve been soaking up every possible moment outdoors lately. 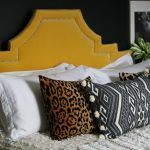 With that said, while I don’t necessarily restyle my entire home with each passing season, I do like to do a little zhushing and freshening up of the space and so I wanted to share that with you today as part of Lyndsay from The White Buffalo’s Blogger Stylin’ Home Summer Tour. I’m so excited to be participating again in this little blog tour (check out my Autumn and Christmas tours by clicking those links) and that means you’ll have a whole host of other gorgeous summer homes to have a look through if you follow the tour. If you are coming here from Primitive & Proper, then may I just welcome you to my little corner of the interwebs. 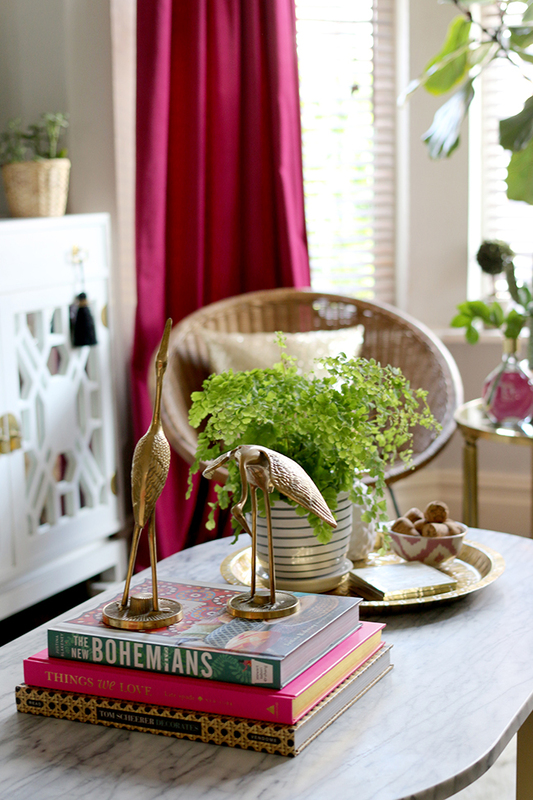 Isn’t Cassie’s style so eclectic and fun? 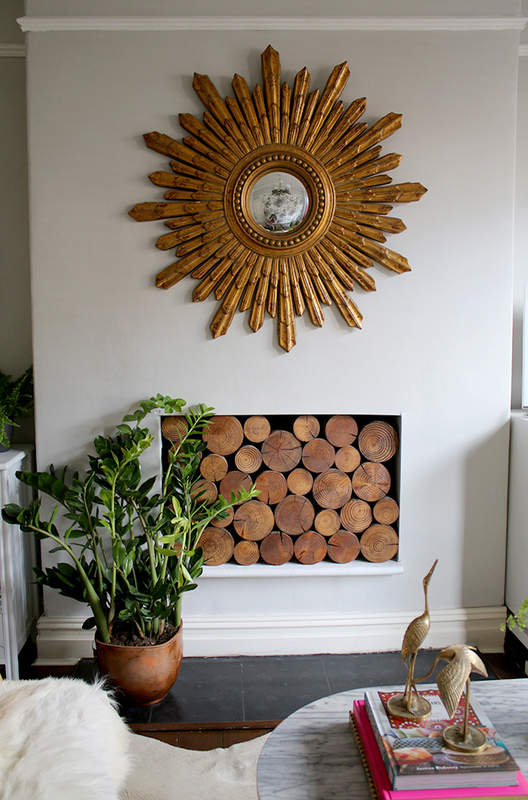 As a little information about me for those who don’t know me, I’m an American ex-pat who has lived in the UK since 2001 and my other half Wayne and I have taken the last 6 years to transform this Manchester area home into an eclectic boho glam space we both love. 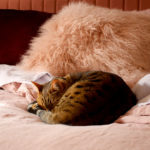 We live here with a Shetland sheepdog called Quito, a lazy rescue cat called Pablo and a crazy Bengal cat called Meisha. Welcome to my home, I’ll put the kettle on. First up is our living room. This hasn’t changed dramatically because I’m actually at the point where I’m pretty pleased with this room which, let’s be honest, doesn’t happen very often! 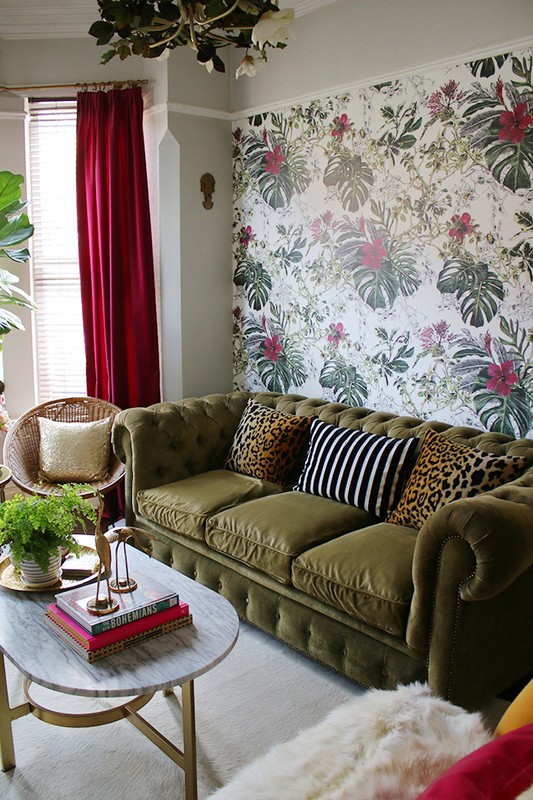 But with the bold tropical wallpaper and all the plants, it pretty much feels like summer in here year round. To give it even more of a summer feel, I included a bunch of faux blooms from OKA (from my recent faux flower arranging class with them which you can read about here) which include a few peonies (seeing as the ones in my garden haven’t bloomed yet – yes, we get them late in North West England) and added a few more touches of greenery. 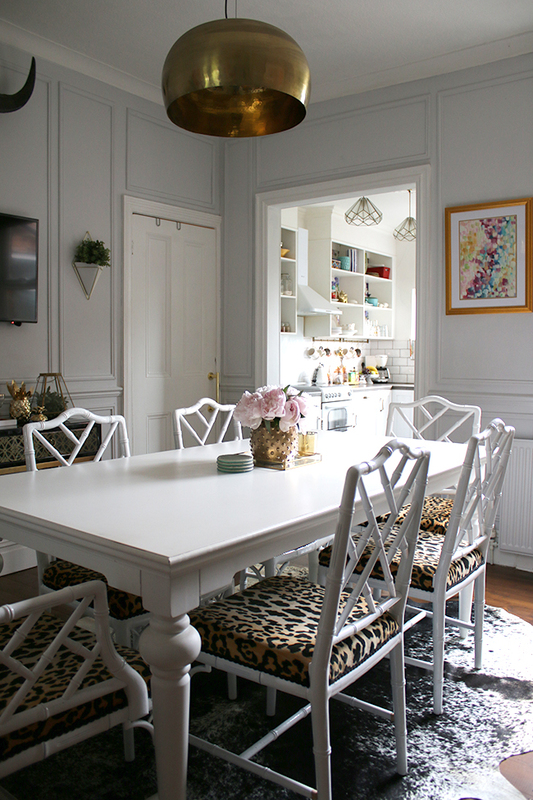 We recently completed an entire remodel of the dining room so that hasn’t changed at all considering it was only last month I did the reveal! 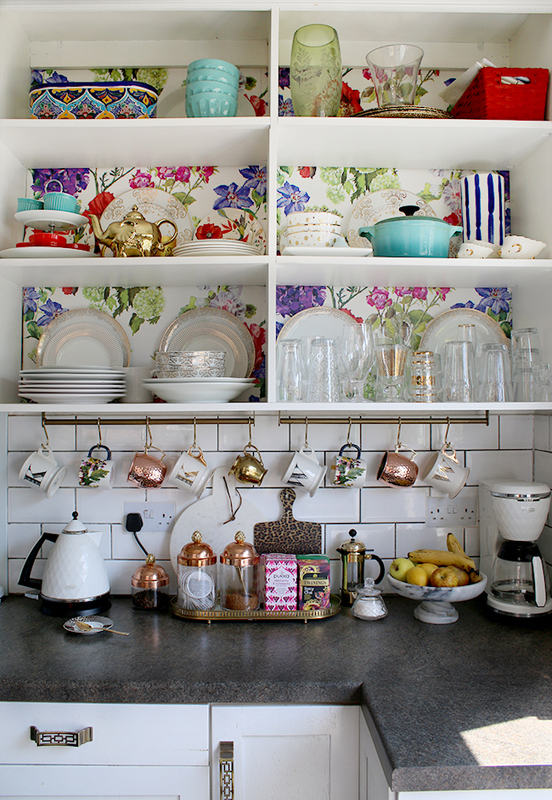 The whole space is so much brighter and fresher so we spend a lot of time in this room, especially as it’s connected to our kitchen. 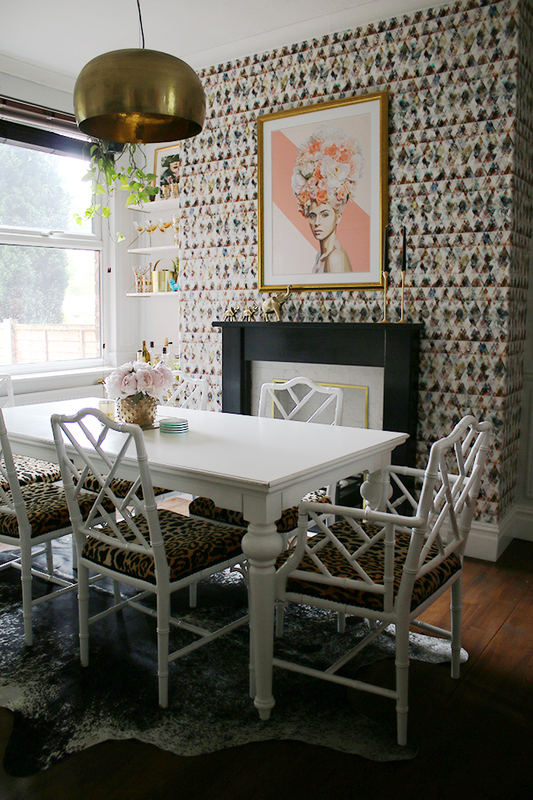 You can see more pictures of my dining room here. While I’m biding my time to add anything new in here until once we’ve got work started on this one, I did pick up these cute gold clips from a recent visit to Rose & Grey’s Altrincham location which I’ll be sharing with you later this month. I can’t wait to get started on this one! 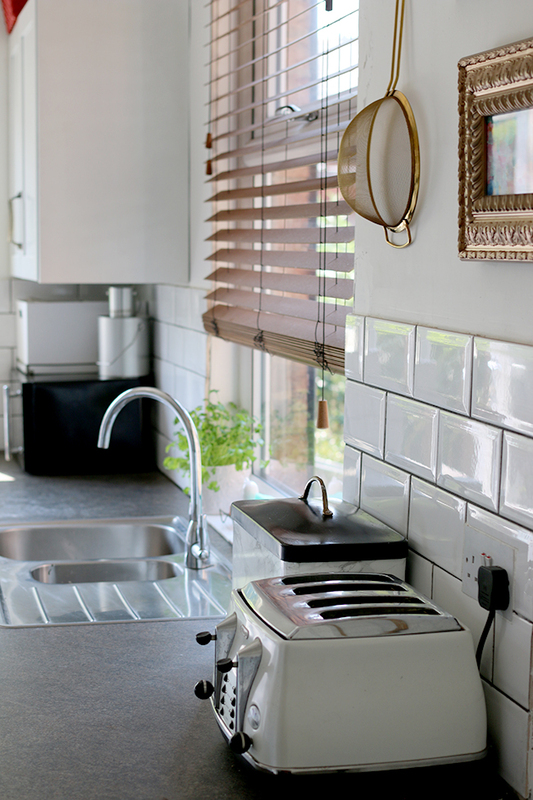 New worktops will be delivered in July so things will start moving after that, fingers crossed! 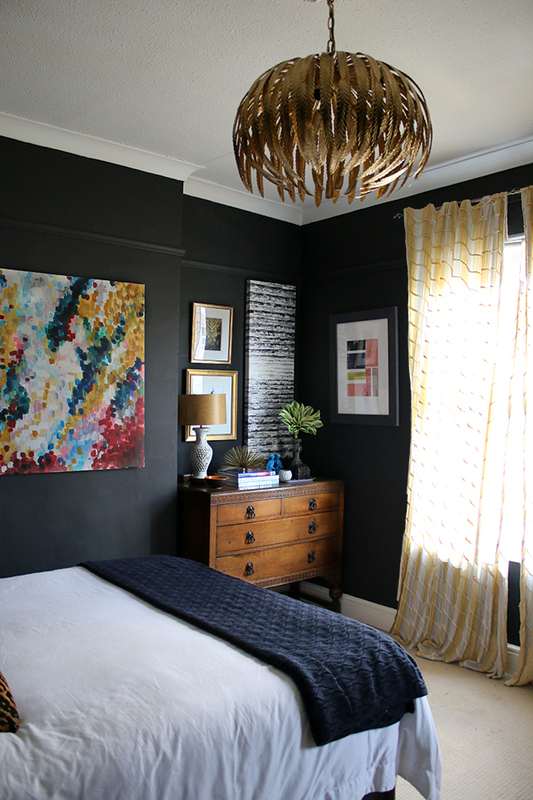 And finally, our master bedroom recently had a few upgrades by way of new black wardrobes and a gorgeous new gold pendant light. 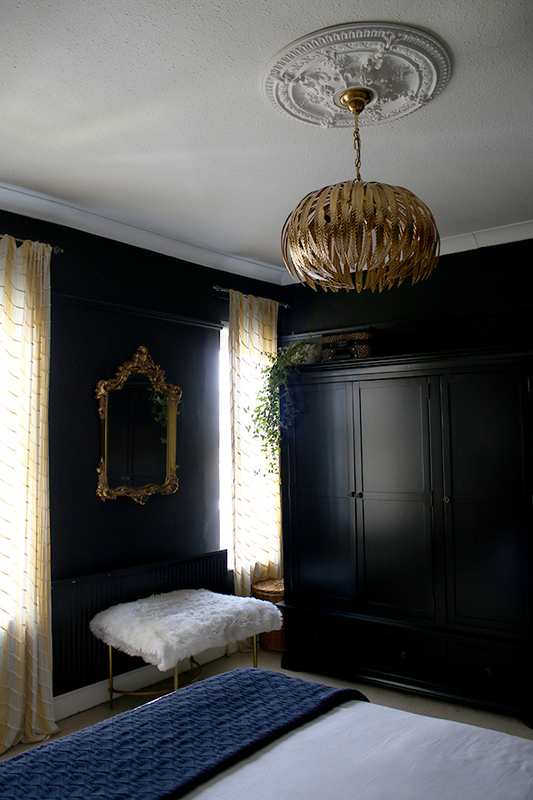 I’m so happy with how much more finished this room looks – just need to finish the floors and rid ourselves of that awful carpet and the curtains and we can call it done. Well, for now. If you know me, you’ll know nothing ever stays the same around here for long. One other space we’ve got big plans for this summer is our patio. 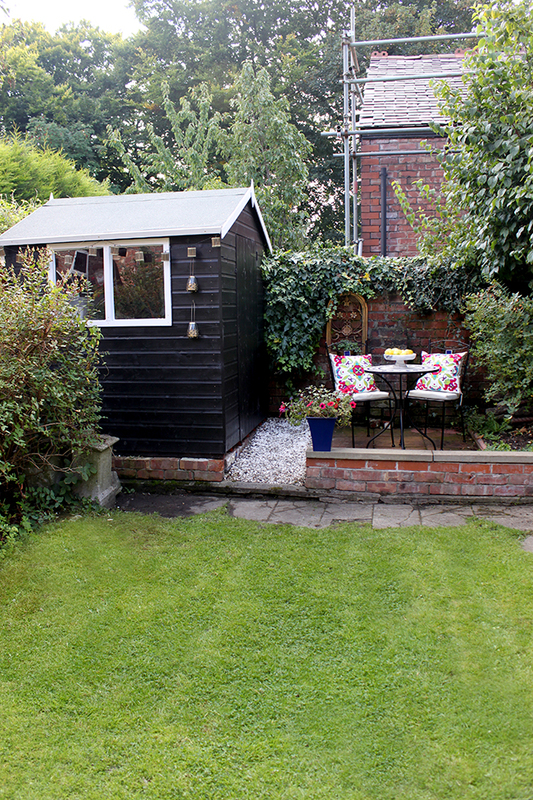 This is what it looked like last summer but we’re planning on extending the patio area across the back and adding a bit of height by way of a pergola. Wayne is itching to get this started and I’m certainly not going to stop him. So I’ll be sharing the progress of that area over the coming few weeks. Yep, two projects at once – are we insane? Probably. 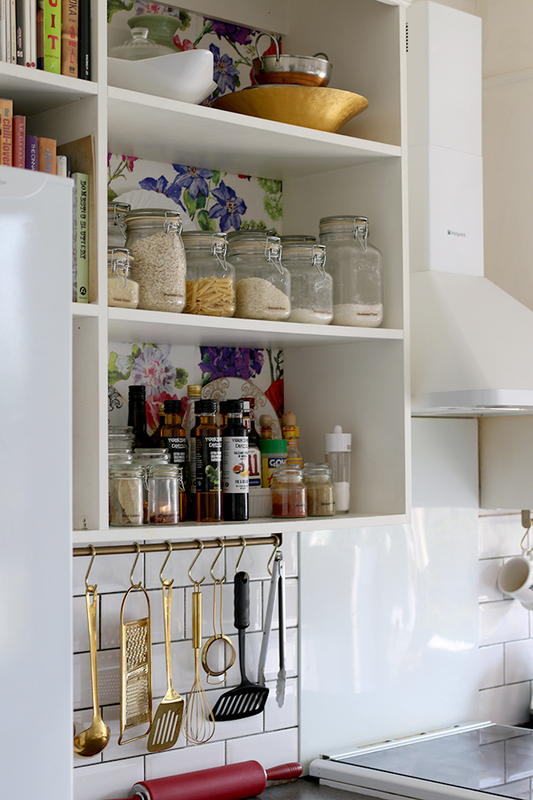 If you are new here and like what you see, you can check out my full house tour here. Or if, you want to keep up to date on all the plans we have, why not subscribe? Now, on with the tour! Be sure to head on over to Hi Sugarplum! 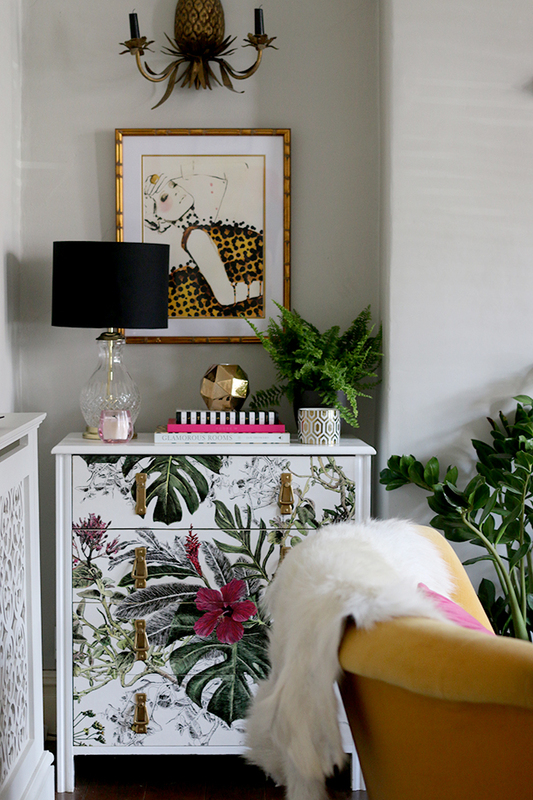 for the next Blogger Stylin’ Home Tour! 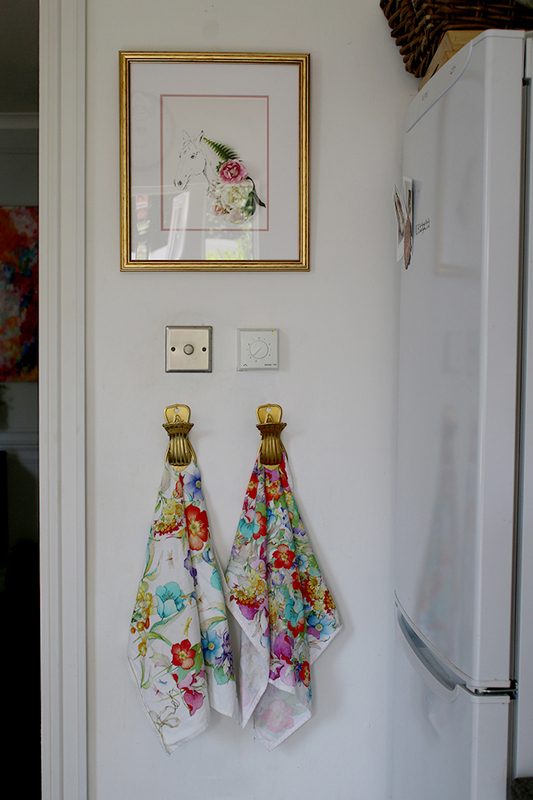 Her home and style is gorgeous, you won’t be disappointed! 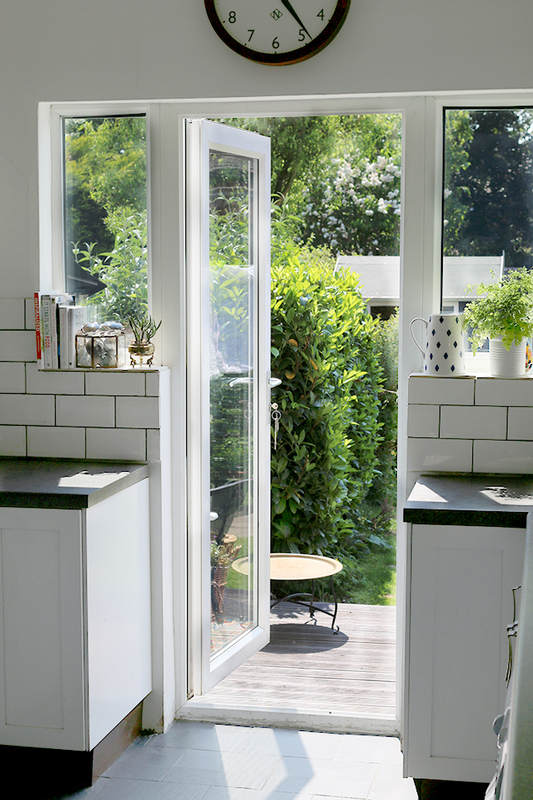 What little changes do you make to your home for summer? 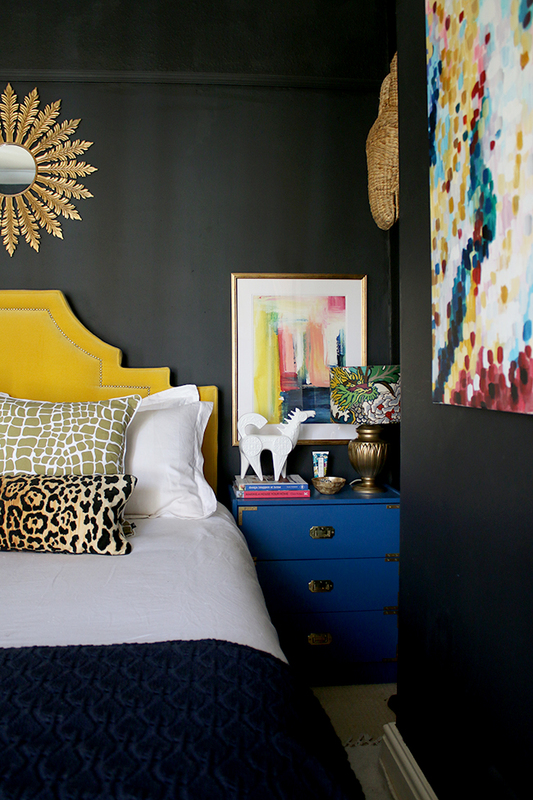 i adore how your home is just so bold and so you! it’s amazing! and i love your kitchen even though i know you plan to change it. 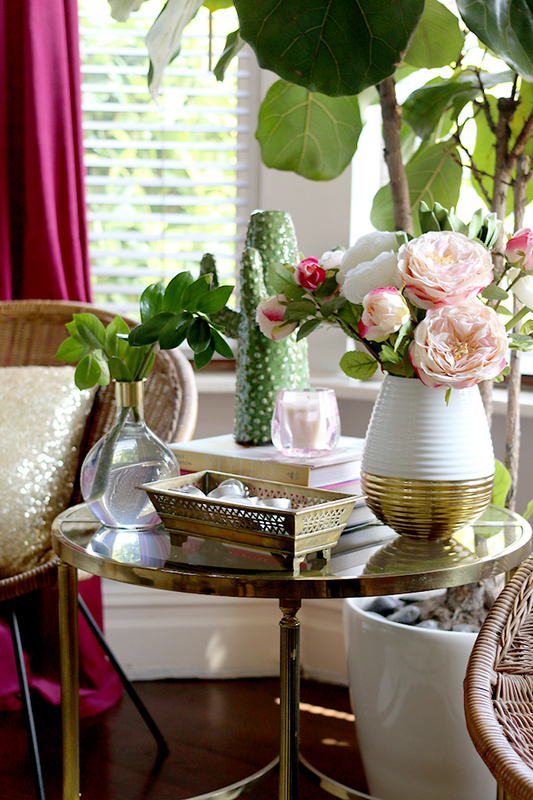 :) oh and the ceramic cactus… fab. If you feel thrilled with this post you certainly deserve to be. It’s just wonderful. 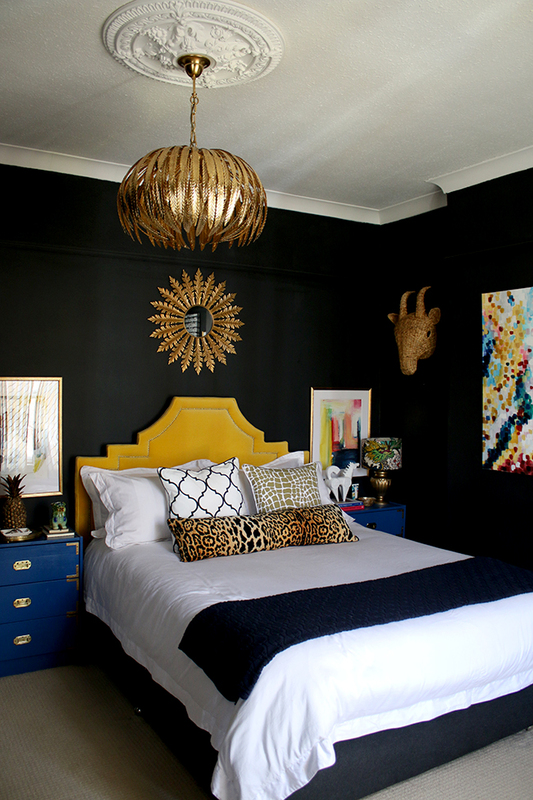 I love how nothing really matches but it all lives happily together, the golds the yellows the black new wardrobes, the new lighting fixture for the bedroom… You did it! Stunning!!! Such a beautiful and cohesive home. 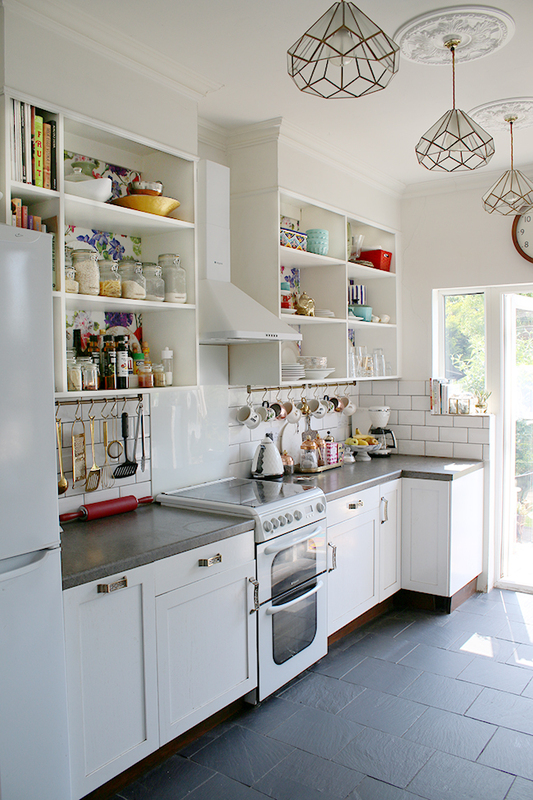 I love your dining room and the kitchen cabinet backing is so pretty! Crazy beautiful! I long for the day when you get a new old house and we can watch you do it all over again. 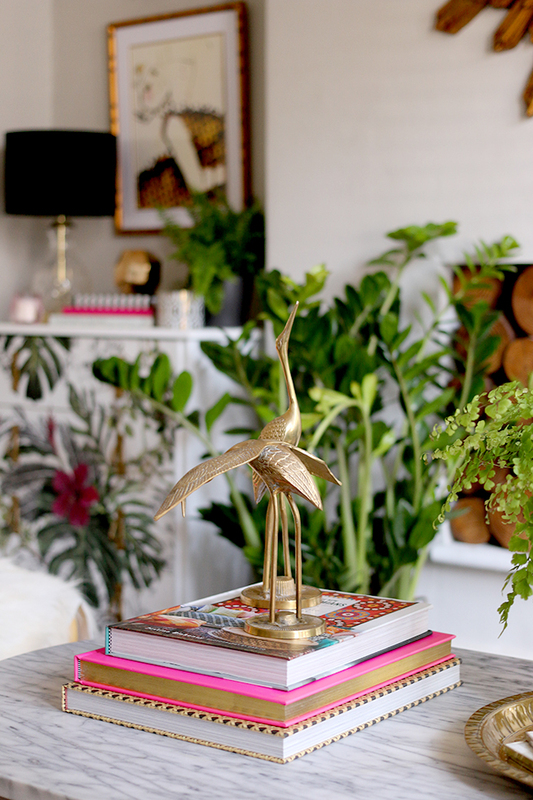 I love all the bright and fun colors you incorporate in your home! Have a beautiful summer! The house looks great. Glad to hear that your summer is getting off to a better start weather wise. Did your neighbor ever take down that scaffolding? Seriously your house is so gorgeous!! Love your summer tour!!! I enjoyed the tour thanks Kimberly. Theres not one thing i like, i just love it all, its stunning, thanks for sharing it with us. Wow Kimberly, this is simply STUNNING. 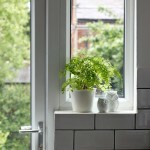 Your home is incredibly beautiful and really looks glorious now for summer!